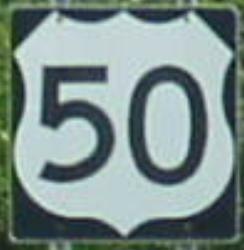 U.S. Federal Route 50 is a main east-west highway across Southern Dearborn County. It is a multi-lane highway this county. U.S. Rt. 50 passes through the following towns in Dearborn County. U.S. Rt. 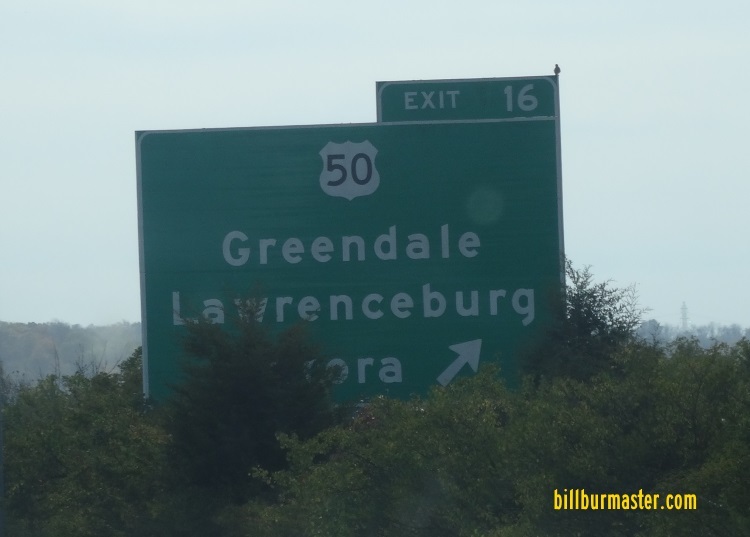 50 is not multi-plexed in Dearborn County. U.S. Rt. 50 intersects the following highways in Dearborn County. Indiana State Route 62, at Dillsboro. Indiana State Route 350, at Aurora. Indiana State Route 148, at Aurora. Indiana State Route 56, at Aurora. Indiana State Route 48, at Lawrenceburg. 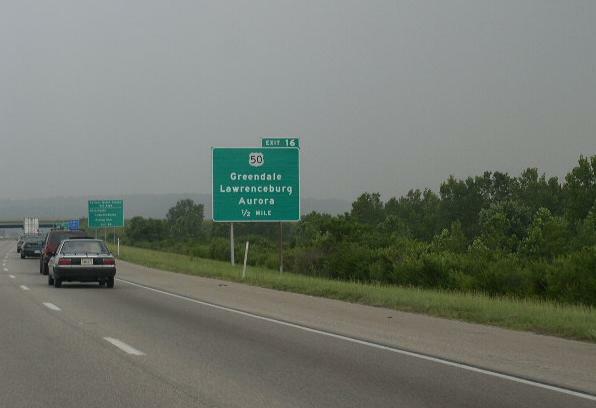 Indiana State Route 1, at Lawrenceburg. A BGS on NB I-275. A BGS on SB I-275.